The world of Frank Fearon, an Apple engineer who is thought to be working on autonomous car technology, isn’t perhaps as cloak and dagger as you were told. In its article, The Guardian noted that “Fearon signs his emails with a cryptic question mark icon” and said it demonstrated that Apple’s well-known obsession with secrecy extends internally, within the company. 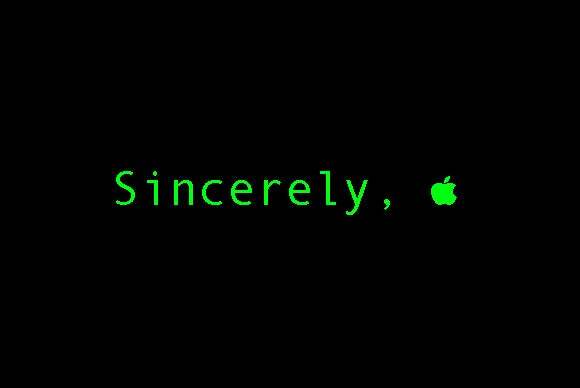 An email sent by Apple’s Frank Fearon shows the Apple logo in his signature file. It’s just the Apple logo. A copy of the same email obtained by IDG News Service did indeed display a question mark enclosed within a box on a Windows PC, but the Apple logo appeared when viewed on a Mac. On the Windows computer, the cryptic character was signifying that the character didn’t exist in the font being used. None of this is to say the rest of what Fearon and Apple are doing isn’t mysterious. Fearon’s signature file doesn’t include any information about him other than a phone number.